Ninjas don’t like to brag. But, every once in a while, we suppose it’s okay to tell peeps the good stuff we’re doing around Ninja Central. Yeah, we know this might make us not look so tough or stealthy – but that’s the risk we’ve got to take. 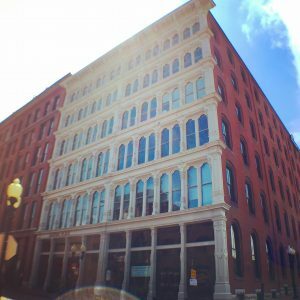 So, take a look at some of the press we’ve had lately and if you want to see what Ninjas look like working in real life stop by Ninja Central and see what we’re all about. We promise we won’t let the paparazzi that lives outside our door attack you. In September 2013, Think Tank was named one of St. Louis’ Top Small Companies by St. Louis Small Business Monthly. You can read all about it on page 30 in the publication. Oh, and yeah, we made the cover too! 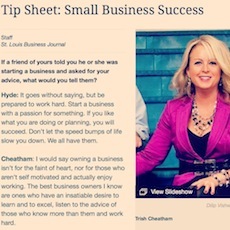 In May 2013, our CEO Trish Cheatham was interviewed by the St. Louis Business Journal about what it takes to start and grow a small business in their Tip Sheet section of the publication. 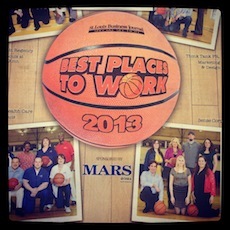 In March 2013, Think Tank was named one of the Best Places to Work in St. Louis by the St. Louis Business Journal. 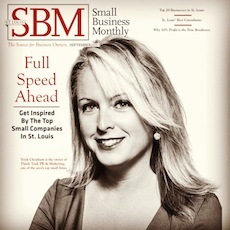 We were selected out of hundreds of workplaces and were featured on the cover of the special section in the St. Louis Business Journal.